Miyamoto Musashi (1584–1645) is the most famous Samurai who ever lived. 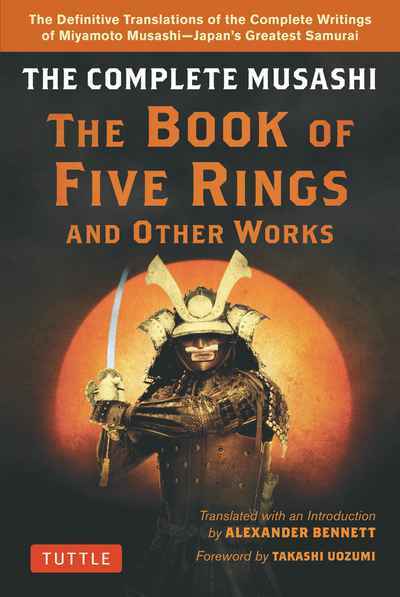 His magnum opus, the Go-Rin-Sho or Book of Five Rings is a classic that is still read by tens of thousands of people each year—Japanese and foreigners alike. Alex Bennett's groundbreaking new translation of The Book of Five Ringsreveals the true meaning of this text for the first time. Like Sun Tzu's The Art of War, Musashi's book offers unique insights not just for warriors but for anyone wanting to apply the Zen Buddhist principles of awareness and "no mind" to achieve success in their endeavors. This book sheds new light on Japanese history and on the philosophical meaning of Bushido—the ancient "code of the Japanese warrior."